Are you looking for a new or pre-owned Ford Transit or Transit Connect in northeastern Oklahoma? Come discover the friendly service at Vance Ford Lincoln in Miami, OK. Vance Auto Group has been faithfully serving Oklahomans for over thirty years. We treat you like neighbors. We may sound small town, but we offer a big city inventory and service. In fact, we are the premier dealer for this entire part of Oklahoma. Vance has nine full-service dealerships so we can offer a huge selection of new and used vehicles to draw from. If it is a new Ford Transit or Ford Transit Connect you’re searching for, Vance Ford Lincoln in Miami, OK can hook you up. These two vans sport similar names but have a variety of differing qualities. The Ford Transit and Transit Connect are extremely versatile. Customize yours to carry a whole service department, installation supplies, sales merchandise, a large family, school kids, adults… Come experience one at Vance Ford Lincoln in Miami, OK. We will be honored to help you find the perfect fit for your needs. 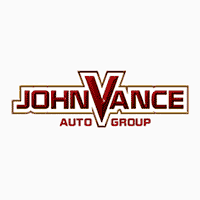 Vance Auto Group has been helping Oklahomans find the perfect vehicle for their needs for over thirty years.